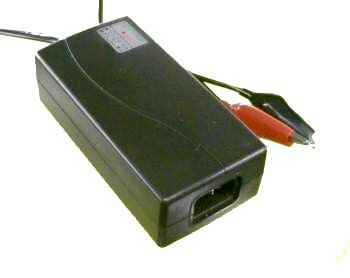 12V 2000mA peak multistage battery charger with universal AC input. Available with barrel connectors or alligator clips. PowerStream is the best place to find high quality, high technology battery chargers for OEM and consumer use. These can be safely left attached to the battery for battery-minder applications, but also have a 3 stage charging process for fast charging. Reverse polarity protection and battery-sense turn-on make them extra safe. 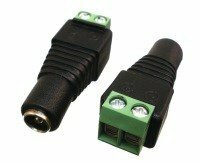 These chargers are also used as replacment chargers for 12 volt safety lights. Type Battery Pack Charger for R/C, Robots, motorcycles, bicycles, scooters and instruments. Safety UL listed under specification UL1310 (ANSI 1310), Class 2 battery charger. CE marked, designed to EN60950, GB4946, UL1950.